 Last year, Letter F had the chance to interview the busy actor slash rapper slash presenter. Boy has a lot on his plate, but he is loving it and is so grateful. Style wise, Boy is known for his street look on point. And to get up close and personal with his fashion tips, Boy became The F Thing‘s personal shopper at our pop-up store. Throwing back to the interview, we asked Boy about his style and idea of romance. When you heard the word “masculine”, what’s the first thing that comes to your mind?